24/7 via the web, and at select festivals, events and state parks throughout Nebraska. Macaroni and Cheese, really, anything cheese. A legal thriller, but I forgot the name. It was good, but not that good. Well, the obvious answer here is pictureprettykites.com, but quite honestly, I find quite a bit of good information, and useful tips as well as tricks from the Prism Kites web site. I also constantly check Kitelife for new and interesting articles. Immanuel field, the home flying field of Midwest Winds Kite Fliers (Our local club). We specialize in personal assistance, and friendly advice. We do not have a storefront so as to speak, so most of our interaction with customers is either at festivals, or events as well as the phone. 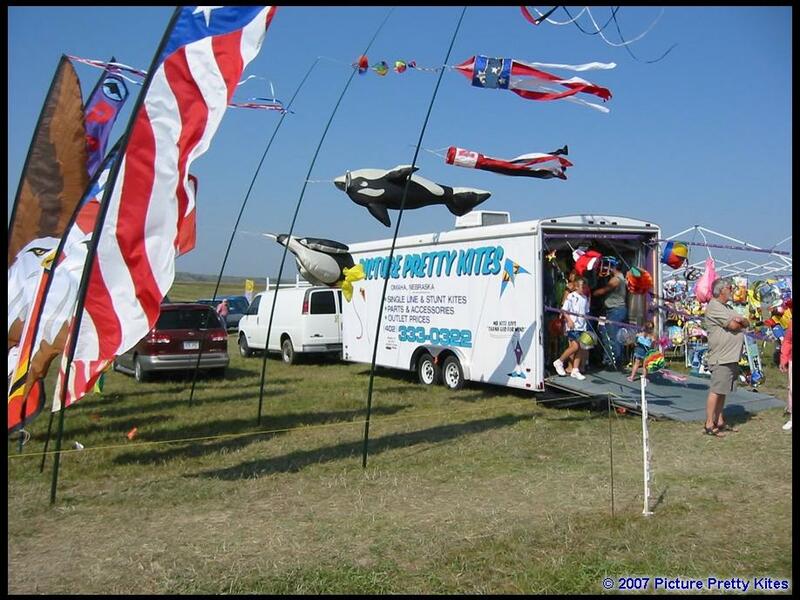 When the shop was originally opened by our founder, Charles Gorr, he opened the shop to provide kites to the Omaha area as at the time, there was no kite shop at all available. 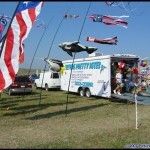 Charlie also used the business to fuel his hobby as well, as he was passionate about kites, and the sport. Be honest, give the customer the best deal you can, and you will have a lifelong customer. The views of all the kites at any festival, or event. It is wonderful to see so many wonderful creations filling the sky. The issue last year covering the annual AKA Convention. I was stuck at my regular job and could not attend. I felt as if I was there at times. This entry was posted in 2010, Featured Store, Issue 70 (Jan/Feb), Kite Columns, KL Archive and tagged picture pretty, store.